Home Unlabelled Report: Liverpool are interested in French club midfielder as alternative to Keita. Report: Liverpool are interested in French club midfielder as alternative to Keita. 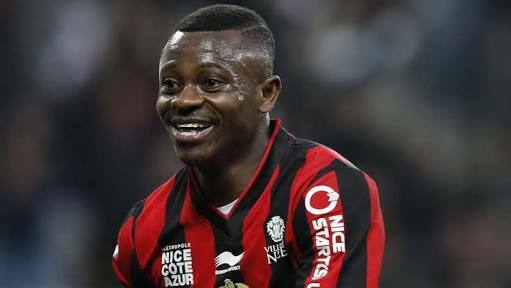 Reports says Liverpool has register their interest in Nice midfielder Jean Michaël Seri as Jürgen Klopp is looking for midfield alternative options to Naby Keïta. The Ivory Cost Defensive midfielder has been followed by many English clubs this summer like Arsenal Everton Tottenham and Swansea who was subsequent to exceeding expectations in Nice third finish in the Ligue 1 last season. The 25-year-old has also seek interest from PSG and Barcelona, who sent scouts to watch him in Friday's home thrashing from Troyes. According to Guardian Liverpool are set to make a bid, with officials understood to have made contact with Nice in recent days to enquire over his availability. After Reds left frustrated in their attempts to sign Guinea international Keïta and accept that a deal for the 22-year-old is more likely to be achieved next summer, when a clause in his contract stipulates he can leave for €55m. Reports says OGC Nice won't stand in his way if they receive a suitable offer for player around 40m euros. Arsenal were also said to be interested but now they have cool down their interest in 22 year old midfielder due to having enough options available on Seri's position for Wenger.